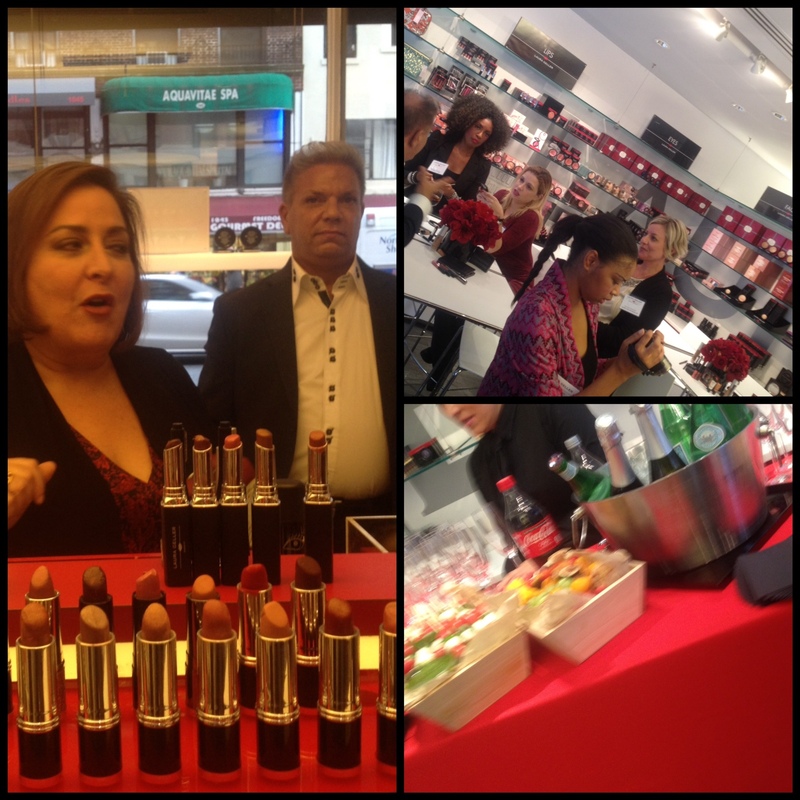 On September 19, 2012 I attended a beauty event at the Laura Geller Studio in New York City. 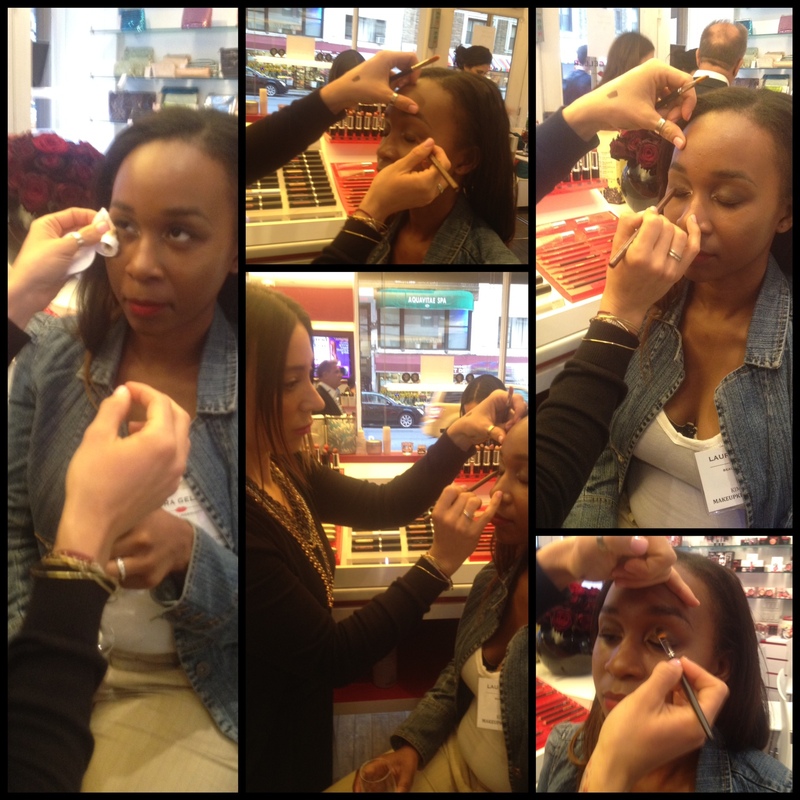 During the event, I had the opportunity to preview and test the newest cosmetics from Laura Geller, as well as receive a mini makeover at the studio using items from the new Laura Geller Fresh Baked Beauty. I had an amazing time at this event. It was nice running into Chastity Palmer from GlitterBuzzStyle. Laura Geller is a riot! She has so much personality. If you watch her on QVC you know exactly what I am talking about. 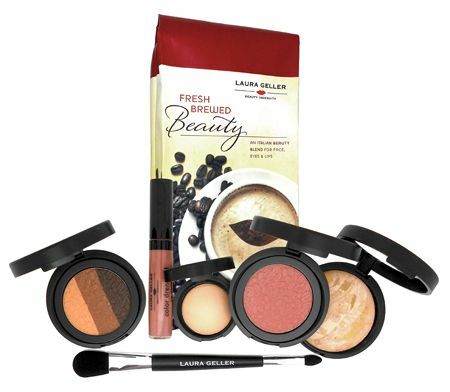 Laura Geller Fresh Brewed Beauty Limited Edition Kit, which features Baked imPRESSions Eyeshadow, and Baked imPRESSions Blush, Color Drenched Lip Gloss in Cafe au Lait, and Balance and Brighten Baked Color Correcting Foundation (Porcelain, Fair, Regular/Medium, and Tan). The Baked imPRESSions Eyeshadow and Baked imPRESSions Blush that comes with the Laura Geller Fresh Brewed Beauty Kit are infused with anti-aging caffeine and other skin-loving extracts such as grape seed oil. Since they are baked, you have the option of using them wet or dry. Using these products wet allows you to create a more dramatic makeup look, while dry will give you a more subtle look for day! There’s definitely something for everyone with the Laura Geller Fresh Brewed Beauty Kit. It is available for a one time shipment or you can order it on auto delivery which includes new seasonal shades in the upcoming months ahead of the colors in the kit. WIN IT HERE by filling out the form below. Disclosure: No Purchase necessary to enter this giveaway. A purchase will not increase your chance of winning. You must be 18 yeas ld or older or have parents permission. This product was provided to me by the company or its PR representative. I am not affiliated with the Laura Geller brand. I would love to win because I think this kit is FABULOUS! 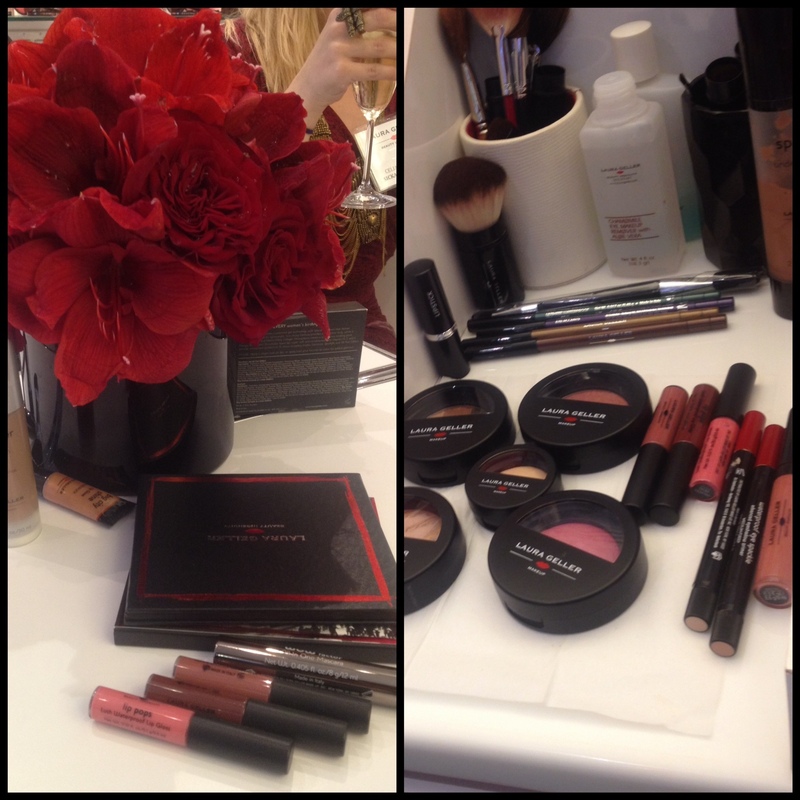 and who doesn't love Laura Geller makeup? I want to win this because I would like to try this great makeup kit. I want to win this for my Mother. She deserves a new set of gorgeous makeup to play with since she's such a hard worker and needs to pamper herself more. She's a special ed teacher who does so much for others. I would love to be able to win this for her! I want to win this because these product look great! What I love about Laura Geller makeup is that the swirls of color look more natural on my skin than solid color makeup. And the Baked makeup lasts a long time! I need something that perks my skin up. I'm nearing 40 and my face is getting closer to the ground…or maybe I'm shrinking. Either way, I would love to try this kit just to see if it would work some miracles. I love Laura Geller's Balance-N-Brighten in regular. It does a good job setting my foundation. I just need some of these other products to hopefully combat my eye bags, dark circles, and fine lines without making me look like Joan Rivers (no offense to Joan if she reads this post). 🙂 Thanks for the awesome giveaway!